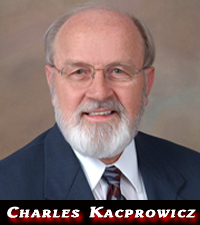 Charles Kacprowicz is the founder of CITIZEN INITIATIVES which advances Article V “Single Issue” Amendment Conventions through State Legislatures, bypassing Congress, the Courts and Executive Branch. Charles has been working to restore our Constitutional Republic for 41 years with Amendments to the Constitution either through Congress or State Legislatures. The Countermand Amendment is his top priority because it restores our Constitution and Republic by allowing States to rescind laws and regulatory rulings that are burdensome to citizens, businesses and industries. The Sovereignty Amendment is also a the top priority. State Legislatures are the sovereign deliberative body under Article V, not delegates they send to a Convention. With the Delegate Resolution, delegates are bound and sent to the Convention as Ambassadors for their Legislatures – not free agents. With each proposed Amendment there is an enforcement provision that empowers States to prosecute, under State laws, intentional violators of the provisions in the Amendments in the absence of Federal prosecution. He has been fighting for the Unborn Child’s right to life since January 23, 1973. After hearing the news about the Supreme Court’s Roe vs. Wade decision the night before, he addressed an outdoor audience at Akron, OH. His message was simple : “We must overturn Roe vs. Wade! . . . We must not give American woman the right to decide who lives and dies in America”. He has authored multiple position papers, the UNBORN CHILD AMENDMENT – A National Strategy to Amend the U.S. Constitution Through State Legislatures, THE ELEVENTH NATION – America Identified In Prophecy and RECLAIMING AMERICA through SINGLE ISSUE Federal Conventions. His new book COUNTERMAND AMENDMENT The Missing Piece in the Article V Puzzle will be released shortly. No stranger to media attention, Charles has appeared on many radio and TV talk shows. He conducts prophecy seminars, has been the guest speaker before 200+ audiences, lobbied Congress on behalf of the Unborn Child Amendment and Late Term Abortion Bills twice vetoed by President Clinton, and has received support from United States Senators, United States Representatives, State Legislators and Pro- Life Groups. He hosts the weekly STATE LEGISLATORS ROUND TABLE on WAAR Radio, PNN Talk Radio, Freedom in America Radio and dozens of affiliated radio stations. He has served in the Church as Preacher, Elder, Deacon, Teacher, Jail Ministry Director and Youth Director. Charles has been recognized by Entrepreneur Magazine for founding one of America’s top 500 entrepreneurial companies and has been awarded the coveted “Authority Author” status by EzineDirectories.com.